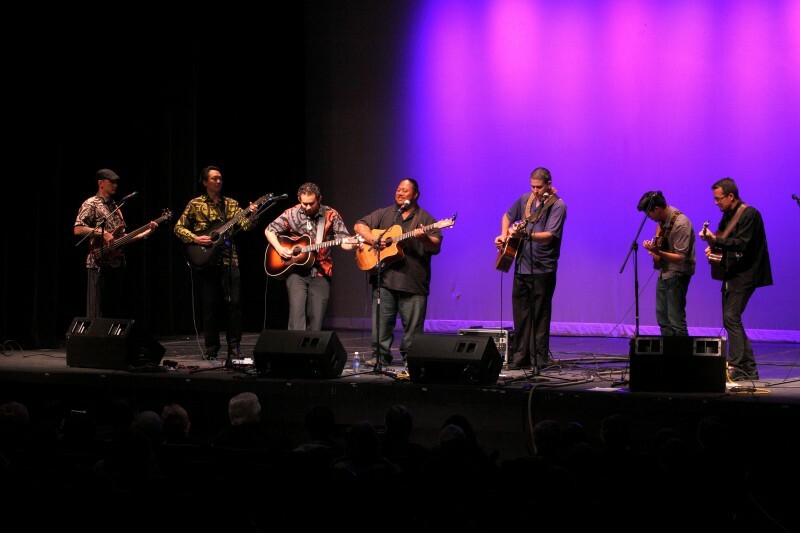 The Masters of Hawaiian Music Tour featuring multiple Grammy award-winning artists George Kahumoku, Jr., Ledward Kaapana, and Jeff Peterson returned to St. Paul’s Episcopal Church, 200 Main Street, Chatham, NJ on Wednesday, March 2, 2016. 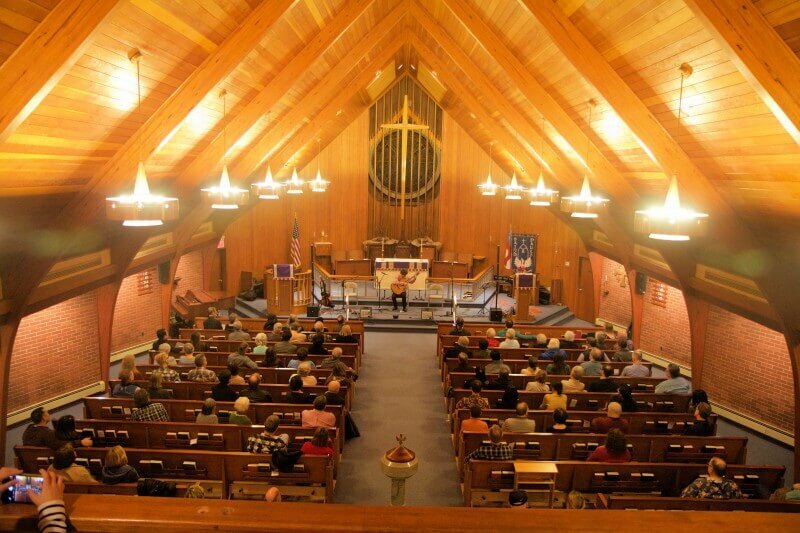 Proceeds benefited the church’s programs and outreach. 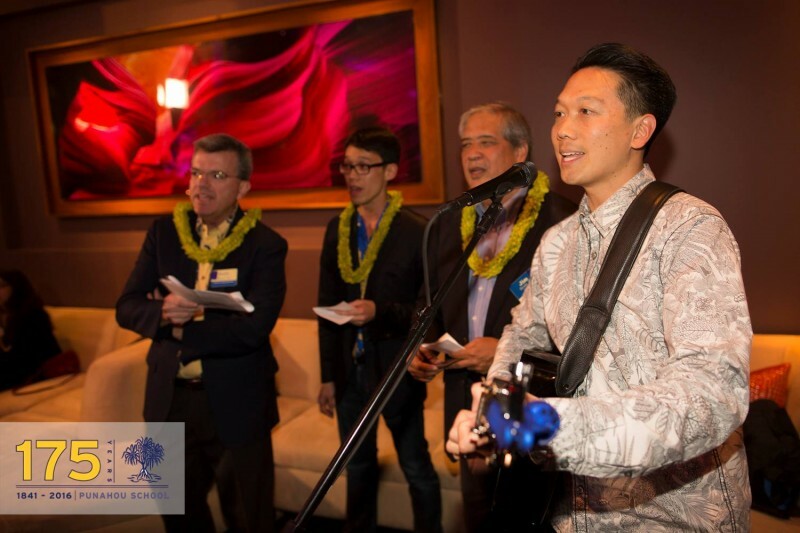 It was an honor to be a part of the Kuʻu Punahou: Campaign for Punahou School at The Glass Houses in New York. Besides the joy of meeting and jamming with Pal and Waileia Eldredge, it was fun comparing mutual friends and acquaintances. Thanks Punahou for having me at another fabulous event. 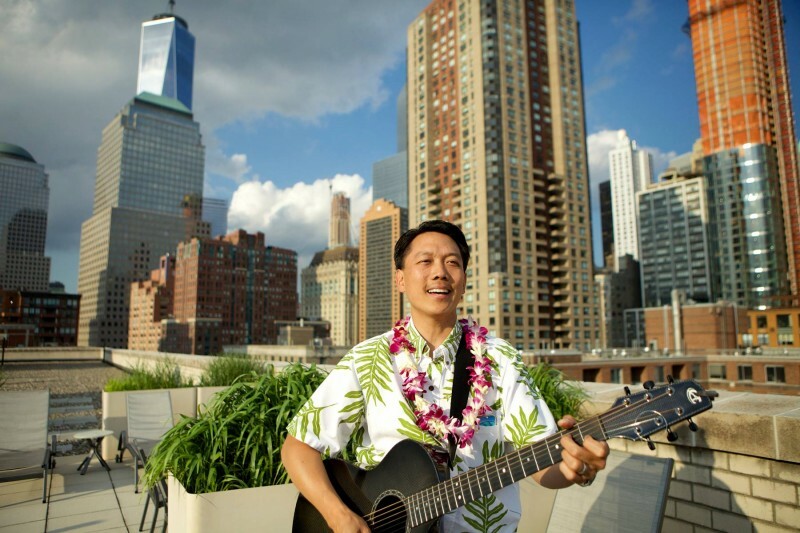 It is always my pleasure to bring Hawaiian music to Punahou alumni events in New York City. It’s a great group and a lot of fun seeing friends and meeting new ones too. Thank you for having me, Punahou School! Yes. You. Can. The odds of finding Hawaiian music in New Jersey is pretty small. 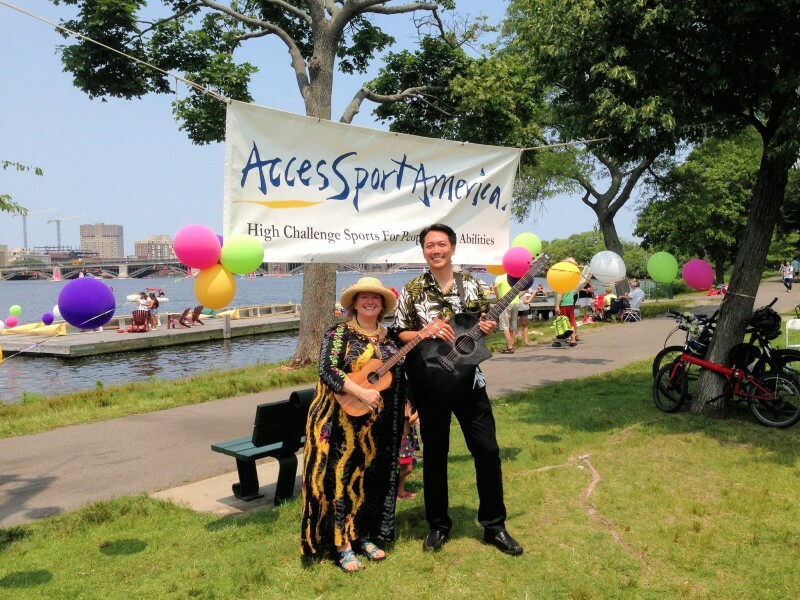 But last April, the Hawaiian Slack Key Guitar Festival came to New Jersey (Virginia and New York.) 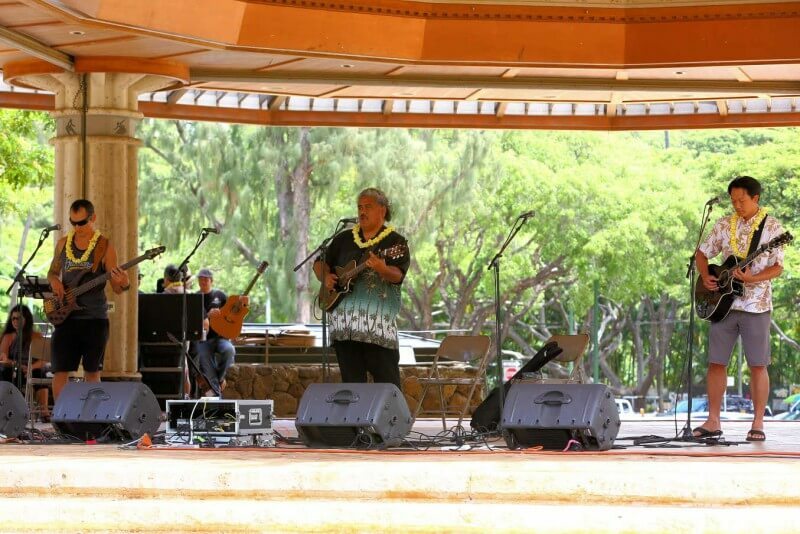 Defying even greater odds, New Jersey came to the 33rd annual Waikiki Style Hawaiian Slack Key Guitar Festival held at the Kapi’olani Park Bandstand in Honolulu. I was lucky to be a part of it. It all started with my friend Thomas Dang Vu asking for recommended vendors in Hawaii that could ship fresh lei to New York. He explained that he was planning a wedding for his dear friends. I sent him a few names of places that friends of mine have used over the years to which he thanked me and joked, “Now I just have to find music… LOL!” My reply was where and when?!?! 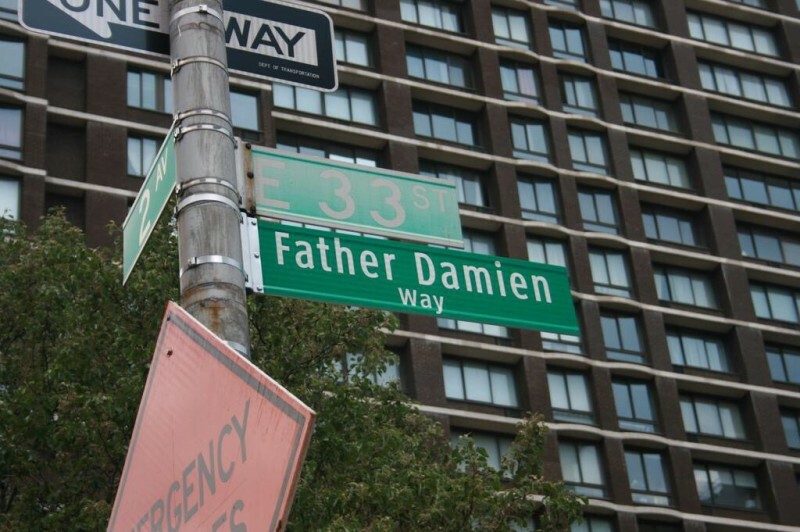 It was a tremendous honor to be a part of the street naming celebration of Father Damien Way in New York City. Father Damien, the 19th-century Roman Catholic Priest from Belgium, is recognized for his work with Hansen’s disease patients in Kalaupapa on Molokaʻi. If you do not believe in small miracles, I found a free parking spot on the street just three blocks from the venue! That is divine intervention. There is a mystique surrounding slack key guitar music – it is very personal, and can be very magical in feeling. 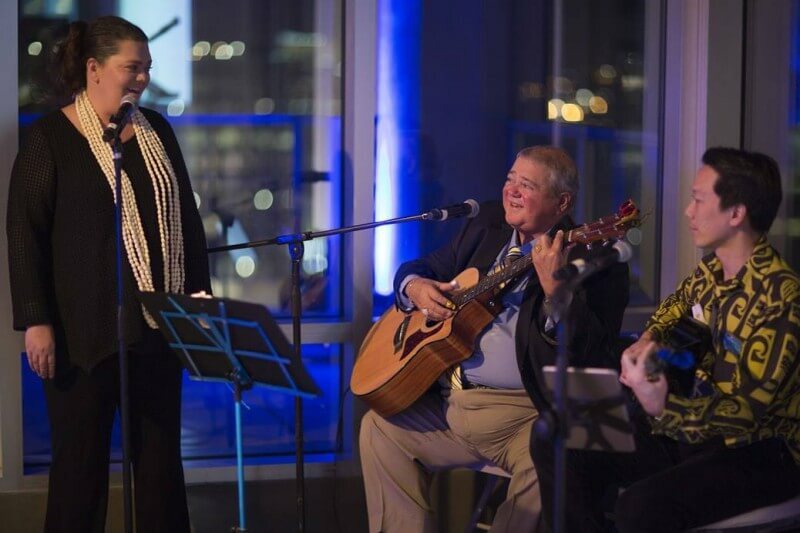 Three shows in three days, covering over 525 miles across 3 states, with 7 musicians. That was the East Coast swing of the 2015 Hawaiian Slack Key Guitar Festival, and I’ll forever be pinching myself that I was a part of it. As a rabid fan of the festival for over 15 years having attended the event on Oahu, Maui, and Kaua’i, I’ll be the first to tell you to go see the show if you have the opportunity. The format is a fun one-stop-shop where you can watch guitarist after guitarist share their passion for slack key guitar, each in a different and unique way. While I may have dreamed about having a slot on the roster, the realist in me knew that it would never happen. Well, chalk one up for the dreamers because it happened.